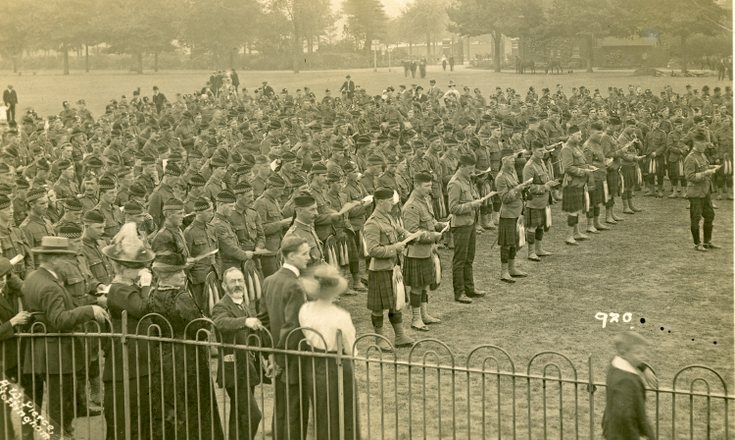 A monochrome photograph of Seaforth Highlands at a Drum Head Service in a park setting, presumably in the Nottingham area. There are iron railings in the foreground at which members of the public are joining the service. The photograph is annotated with the number '970' at bottom right and at bottom left 'A W Pierce, Nottingham'.